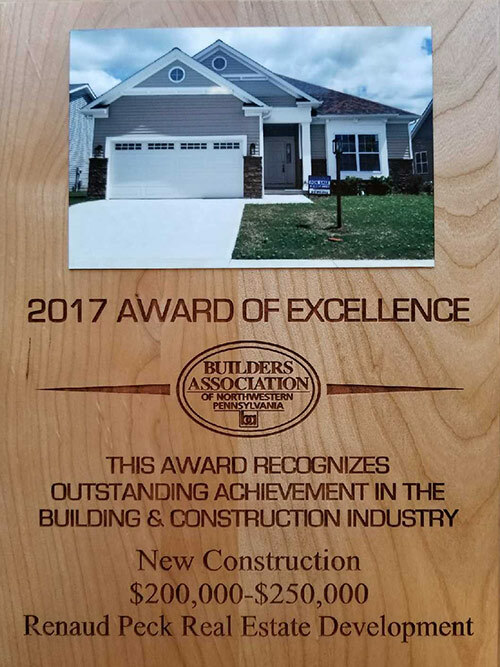 Renaud-Peck home building award winner! 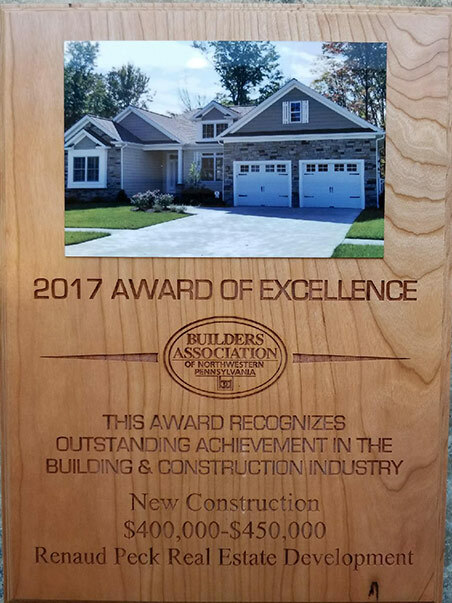 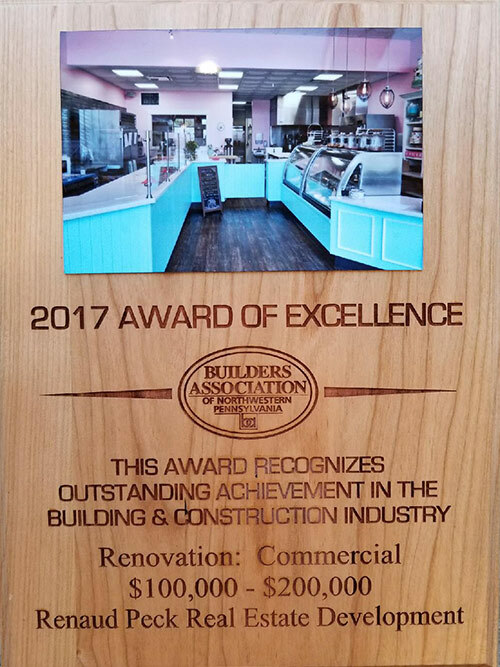 We are honored and humbled to accept these four awards from the Builders Association Awards of Excellence 2017! 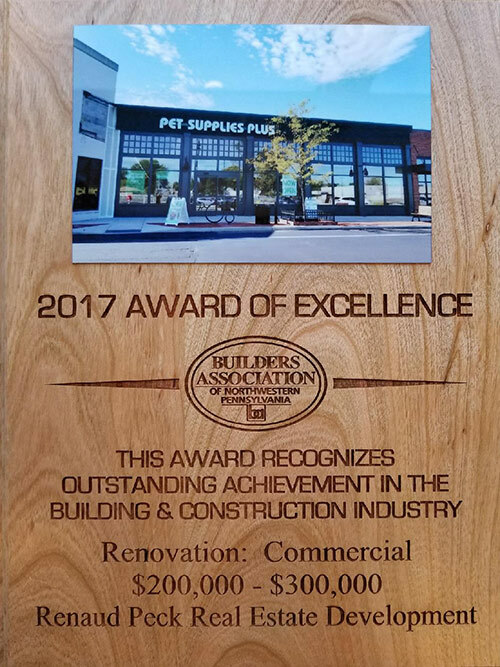 We would like to extend a very special thank you to the Builders Association of NW Pennsylvania, Bob Himes and Judges, and an enormous salute to all of this years nominees!